What are you doing on Sunday, August 22? Nothing, you say? Ok, well then join in the Reading in Public event, hosted by LibraryThing! Sign up on the website with what book you'll be reading, and when, and then find a nice public spot to curl up with a book. With any luck, you can find a nice air-conditioned public spot to curl up, allowing you several hours to turn your own AC off, thereby reducing your monthly AC costs. See? It's even economical. 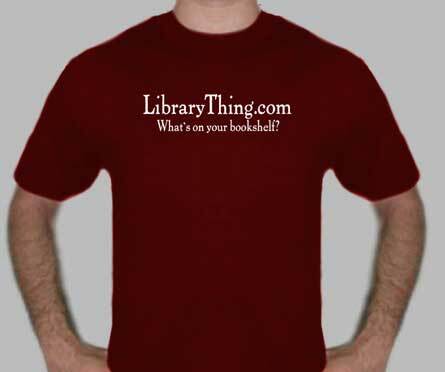 In honor of the day, LibraryThing t-shirts are also on sale for $9 (instead of the usual $15). The idea is to wear the shirts on Aug 22 to support the event. So hop to it - order a shirt, pick your book and let the world know what you're reading this August! Hope everyone is having a wonderful week. Happy Hump Day - it's all downhill from here!